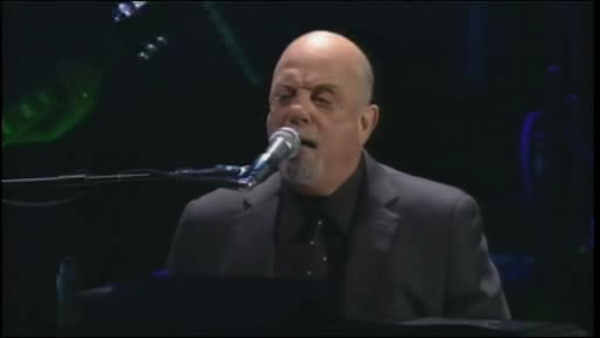 NEW YORK (WABC) -- Billy Joel returned to play Madison Square Garden Thursday night in his first concert in New York City since the birth of his new baby daughter. The 66-year-old piano man and his wife, 33-year-old Alexis Joel, welcomed their baby girl Della Rose on August 12th. She weighed 7 lbs 6.5 oz. The proud father of two showed off photos of his new love during a concert in Philadelphia earlier this week. This is Joel's second daughter; his firstborn is Alexa Ray Joel, 29, with ex-wife Christy Brinkley. Thursday night's concert is the latest show of his Time Warner Cable Concert Series.